Another quick and vampy mani, this time with OPI Black Cherry Chutney (from India Collection): nice application, two coats and no top coat in my pictures (except on middle finger where I had to apply some Sally Hansen InstaDri to settle a little mess I made...). This polish seems "just" a dark burgundy but under direct sunlight it reveals its beautiful shimmers. Lovely! 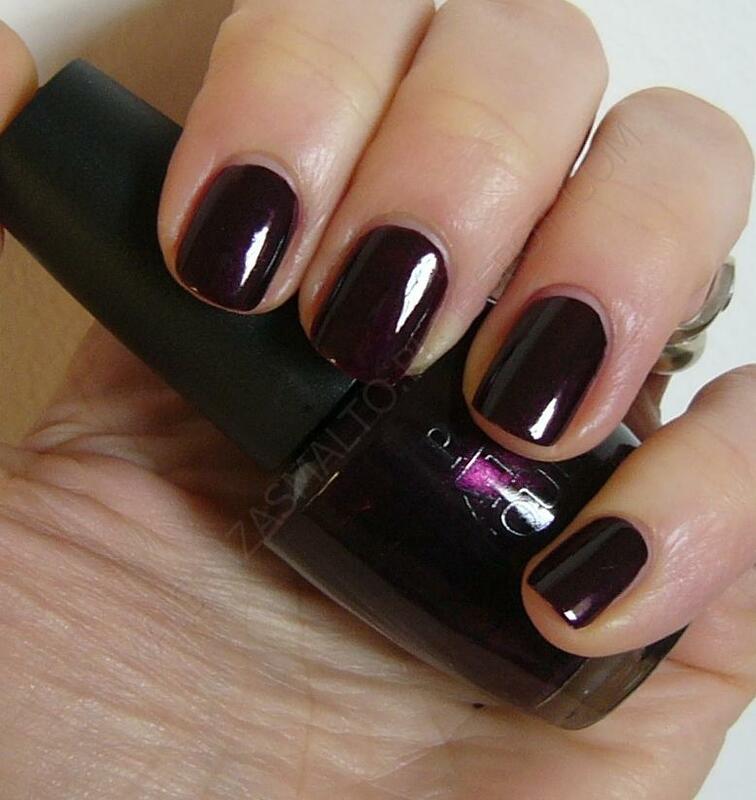 Un'altra veloce manicure "vampy", stavolta con il più titolato OPI Black Cherry Chutney (India Collection). Stesura buona, ho applicato due strati e non ho messo top coat (tranne che sul medio, dove ho dato una passata di Sally Hansen InstaDri per sistemare un pasticcio che avevo combinato). 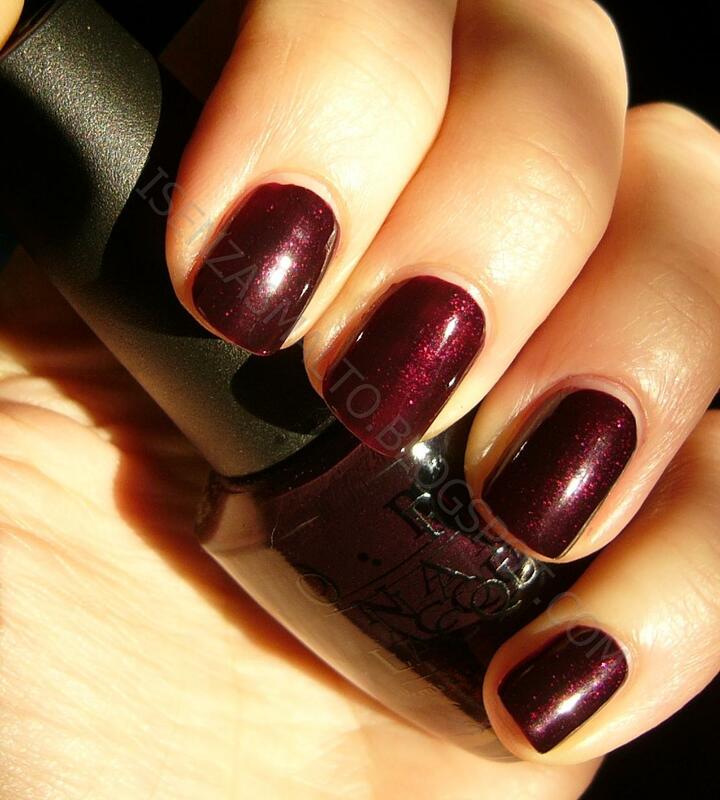 Lo smalto sembra "solo" un bordeaux molto scuro ma sotto il sole si rivela uno shimmer bellissimo!